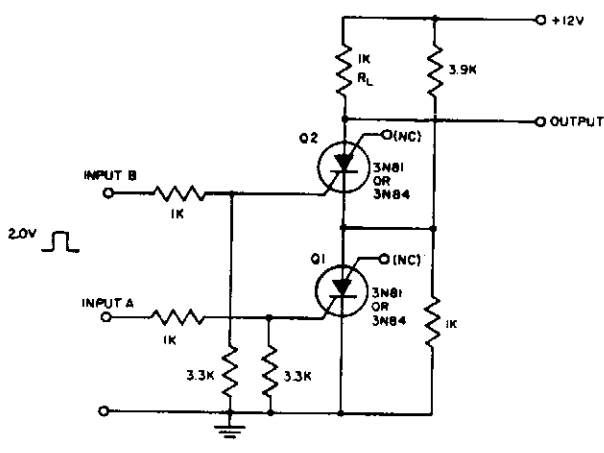 It is a very simple electronic Schematic Circuit Diagram of Pulse sequence detector Circuit. The resistor divider connected between Ql and Q2 supplies IH to Ql after input A triggers it. It also prevents input from triggering Q2 until Ql conducts.Consequently, the first input pulse after input A is applied will supply current to RL.